A toner is a very important step in a daily beauty routine and that is because a toner helps in maintaining the pH balance of the skin. After cleansing the skin, the skin needs to come back to its normal state which a toner manages to do. Regular use of a toner in the morning and in the night will help in getting flawless skin. Toner basically tightens the pores and maintains the normal activity at the cellular level hence controlling the overproduction of sebum. There are numerous toners available in the market. We understand that it is difficult to choose the best toner for your skin and we will help you do that as in this post we list out the best toners available in the market. Post the usage of a toner, the face will look fresh and the oil secretion will be reduced too. 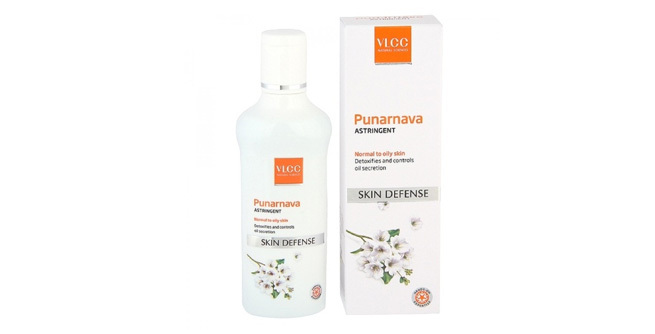 VLCC Punarnava Astringent: VLCC Punarnava Astringent from VLCC is a very good toner which contains ingredients like honey, almond, lemon etc. which together makes a natural as well as a very effective toner. It controls the secretion of the oil in the skin and it is also very good for skin as it has antiseptic properties. 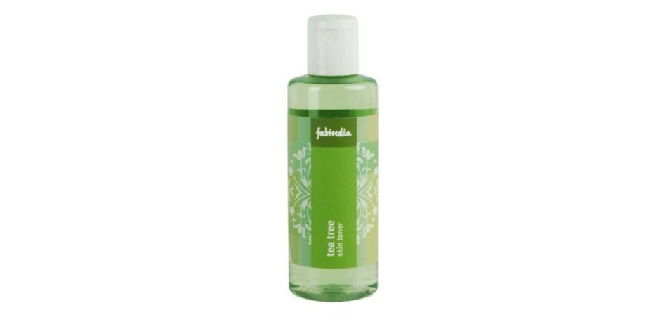 Fabindia Tea tree skin toner: Fabindia Tea tree skin toner from Fabindia has tea tree oil as the main ingredient which makes it a perfect choice for oily skin. It cools the skin , cleans it from all dirt and grime. The presence of tea tree oil helps in keeping the pimples and acne at bay. It kills the bacteria and prevents the skin from unwanted blemishes and scars. By regular use you can get a flawless skin. 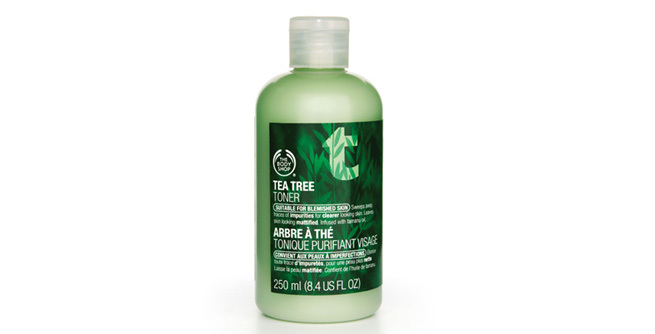 The Body Shop Tea Tree Skin Clearing Toner: The Body Shop Tea Tree Skin Clearing Toner from Body shop again has tea tree oil which makes it a great choice for oily skin. Tea tree oil has anti-bacterial property that helps to kill all the bacteria and controls the oil secretion from the skin. Regular usage of this toner will help you to achieve a clean, clear and glowing skin. 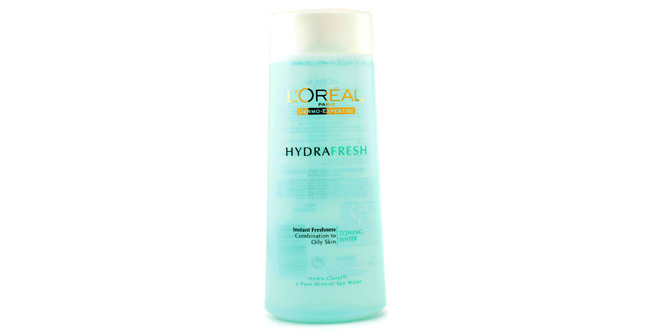 L’Oreal Hydrafresh Instant Freshness Toning Water: . L’Oreal Hydrafresh Instant Freshness Toning Water is a very good toner that hydrates the skin very well. It has Beta Hydroxy which removes the dullness in the skin and revitalizes it completely. The Hydra-Claryl helps in enhancing the skin quality while tightening the pores and hydrating it at the same time. It also has Pro Vitamin B5 that prevents easy loss of moisture. 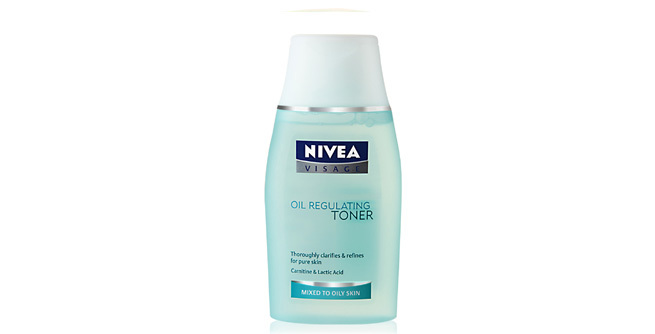 Nivea Visage Oil regulating Toner: Nivea Visage Oil regulating Toner from Nivea is great to control the oil . It is mild on skin and hydrates the skin too. Kaya Skin Clinic Acne free purifying Toner: Kaya Skin Clinic Acne free purifying Toner from Kaya is an Alcohol-free toner which has rich botanical extracts that of Rose, Witch Hazel, and cucumber that helps in lending the skin a clear as well as a refreshed look. This toner makes the pores look lesser if used regularly. It makes the skin non-greasy, fresh and controls the excess sebum production in the skin. 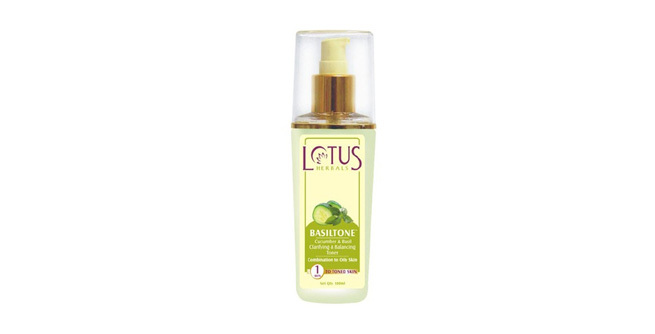 Lotus Herbals Basiltone Clarifying & Balancing Toner: Lotus Herbals Basiltone Clarifying & Balancing Toner from Lotus is a very good toner with ingredients like basil extract, cucumber and is perfect for oily skin. 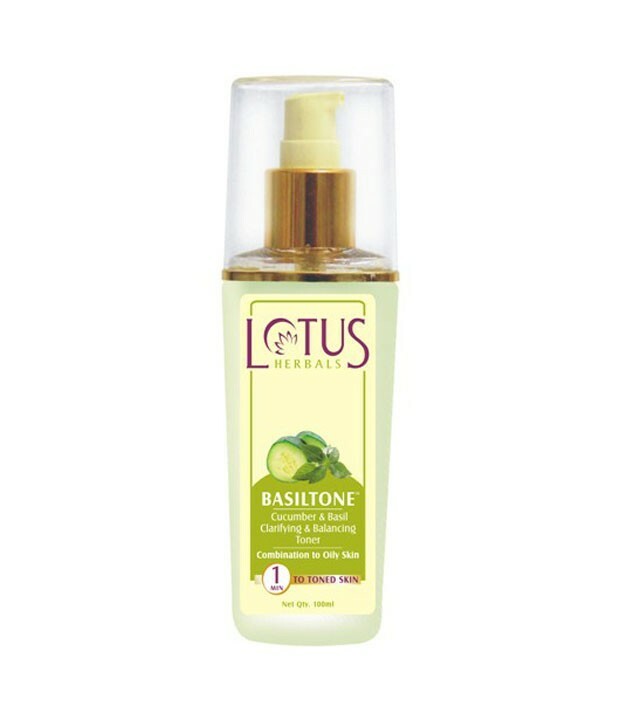 It refreshes the skin instantly and removes excess oil, dirt etc. It tightens the pores too.